Situated in the former industrial town of Barnsley, Hunters Estate Agents and Letting Agents Barnsley, previously trading as 4sale2U, is in its sixth year of business in the area. Due to the work of Franchise Partner Christian and his team, the branch has long been recognised as one of the leading agents throughout the Dearne Valley area. When you choose Hunters Estate Agents and Letting Agents in Barnsley to sell or purchase your home, you will be interacting with local experts within the property industry and you can be sure that we will get the best possible results for you. The team at Hunters Barnsley have over 20 years’ collective experience and we pride ourselves on fast turnaround and the personalised service we give to our customers, including an in-house sales progression department to track your property transaction through to completion. 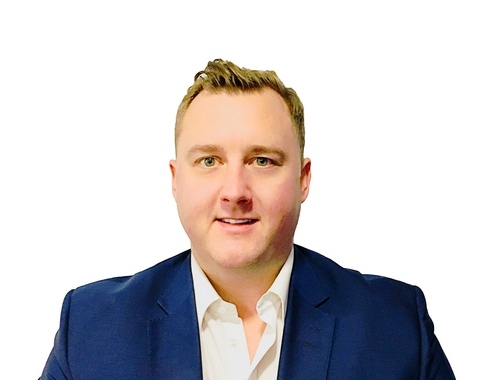 As part of the wider Hunters network - one of the fastest growing franchised estate agency networks in the UK, the Barnsley branch focuses on excellent customer service which has resulted in more than half its business coming from referrals. Hunters Estate Agents and Letting Agents Barnsley specialises in residential properties in around the local villages – from Cawthorne to Shafton, including such areas as, Mapplewell, Darton, Royston, Wombwell, Silkstone, Royston, Dodworth, Pogmoor and Cudworth. "I would like to thank 4sale2u for their professionalism and perseverance when selling my property. Where many other companies would have likely settled for delays and the inevitable hurdles Shawn and Zack were extremely supportive and pushed for a result. This was particularly important as I am based outside Yorkshire so needed an efficient, holistic and trustworthy service. I wish them all the best in the future." "Just want to say a huge thank you to the team! Fantastic service from start to finish. The photos were amazing, the sales team were great at communicating both with me and the buyers and my house sold within 8 weeks. Smooth, fast sale with no hiccups. Highly recommended"
"I've sold multiple properties with 4sale2u through the Barnsley branch. Zack and his team have provided a professional, friendly service. They have a good knowledge of the local market and have sold properties quickly for us. They are efficient and have provided us with regular updates and without doubt would recommend them to anyone in the local area. Cheers Zack, Keep it up lads"
"Very professional but friendly service provided, have dealt with any matters swiftly. Big thanks to Zack and Sean who have been more than happy to help; I am a first time buyer so had lots of questions! They have also always kept me in the loop of how things are going. My purchase is still ongoing but I am positive this team will do all they can to ensure it is as straightforward as possible"
Click to view preferred suppliers for Hunters Barnsley. VAT Reg No: 106 9695 86 | Registered No: 0732942 | Registered Office: 18 Eldon Street, Barnsley, South Yorkshire, S70 2JB. A Hunters franchise owned and operated under licence by 4SALE2U (Barnsley) Limited.